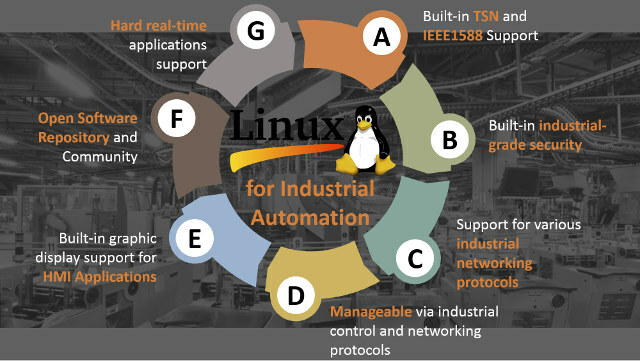 NXP has announced the release of OpenIL industrial Linux distribution with real-time OS extensions and Time-Sensitive Networking (TSN) support for factory-automation for the Industry 4.0 era. The OpenIL distribution includes support for per-stream policing, time-aware shaping of network traffic, and 801.1AS time synchronization, and supports NXP Layerscape SoCs and boards such as LS1028A dual ARMv8 processor, or LS1021A-IOT IoT gateway. You’ll find the source code on Gihub, and some more information on OpenIL.org website. NXP appears to be the only company involved in the project, and they’re currently demonstrating their OS during SPS IPC Drives 2017 in Nuremberg, Germany, until November 30.